I’ve written about “the mix” before. I absolutely adore the European style of mixing traditional and modern design elements. 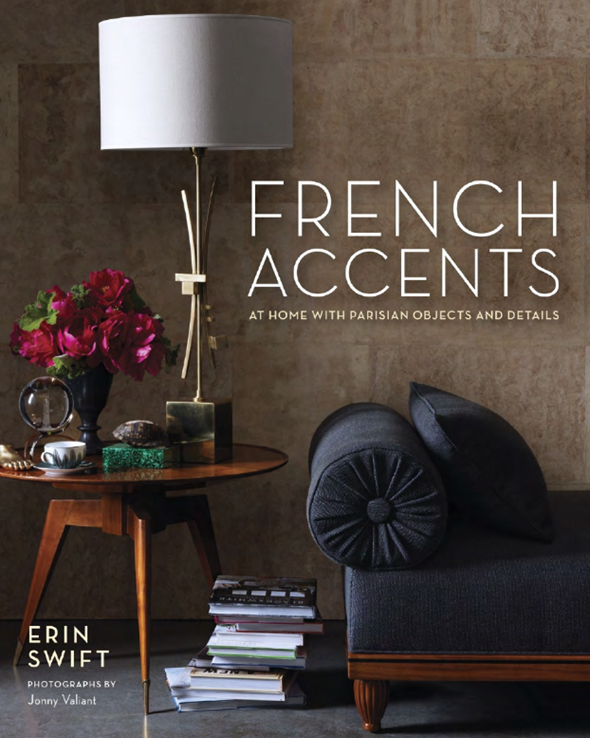 Clearly, I must add the book FRENCH ACCENTS to my interior design library. Can we talk about the moldings in this living room? Stunning! 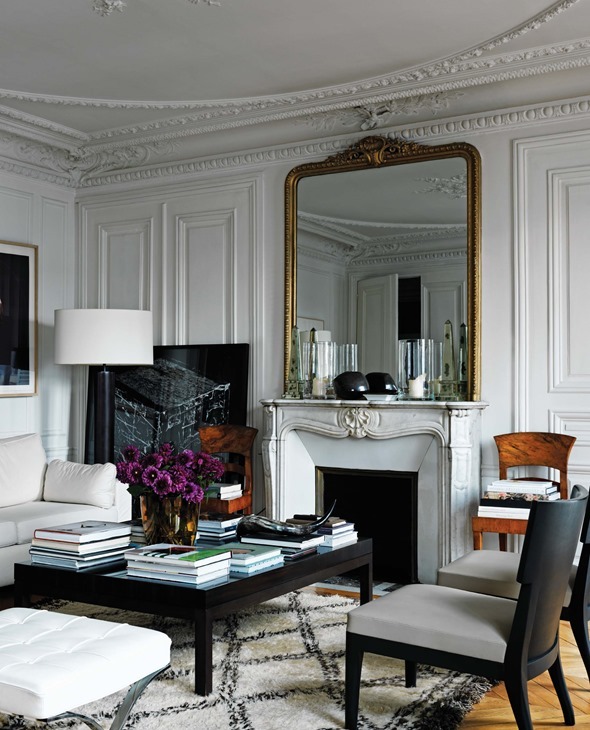 Love the big mirror and the white stucco, the parquet floor and that Parisian light. C’est sublime! Yes, it is. 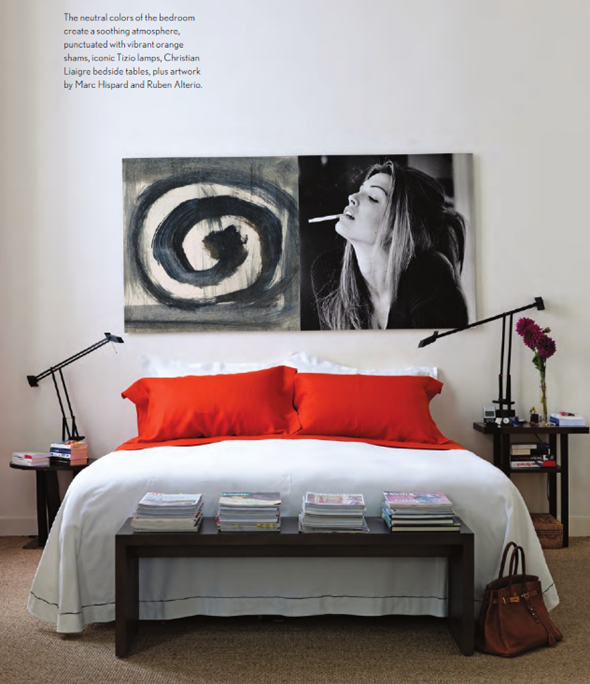 Love that room. Previous Previous post: No Words.